I wish I had the capacity to truly communicate how sick I feel about the horrible, horrible, events that took place in Christchurch, New Zealand over the weekend, when a monster destroyed the lives of countless people for no other reason than 'Hate'. When I was considering what I should write this week, I asked myself the question, "do I really want to add to the myriads of people commenting, or should I just let it be". But I couldn’t just let it be, because like everyone else, I need to process it and even though I cannot change the actual situation, I can help to influence the thoughts and ease the pain of others who have also watched from afar. My initial thoughts and comments were that of rage and anger. These thoughts were further fueled by the disgusting and hateful comments made by Senator Anning. But he and others like him, do not represent the majority of great people that make up this planet. • We must act and not react – how can we reach out to help? • And as hard as it is, we must go on and live better lives and be better people because of it. Because, if we do not do these things, then we too will continue to live the hate that has been displayed. Never forget the situation, but do not continue to live it, allow it to make you better, as hard as that might sound. Having lived in New Zealand for a chunk of my childhood, I know what an amazing place it is, and what beautiful people live within it. So, our thoughts and prayers go out to all of the families and friends affected and in fact to the whole of New Zealand. 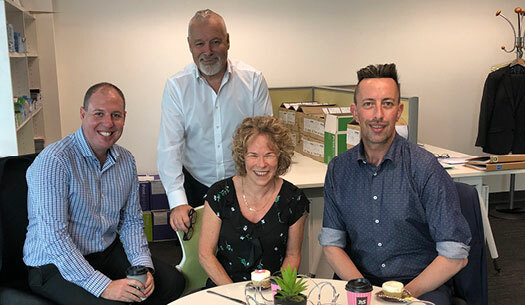 We have the great pleasure of welcoming Jo Wood to our team in South Australia. Jo will be involved in Sales/Client Services & Events for SA/WA. Jo brings with her many years of experience in all of these areas having held a senior role at the Adelaide Convention Centre for over 15 years. Welcome to the team Jo. 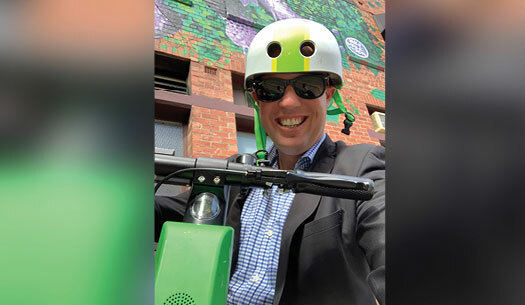 Grant Davis takes advantage of the new scooter trial taking place in Adelaide during the Fringe Festival and decides to hitch a ride to a business development meeting. His vote is – keep them here permanently. I guess we will have to increase our insurance cover!!! 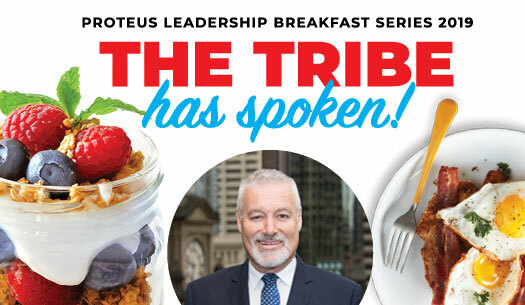 I am really looking forward to speaking at the upcoming breakfast series right across Australia. There is no doubt that the tribes we have known for many years, have change how they look and how they sound, but have we adapted? Book your places/tables now and bring your whole team along to this amazing event. 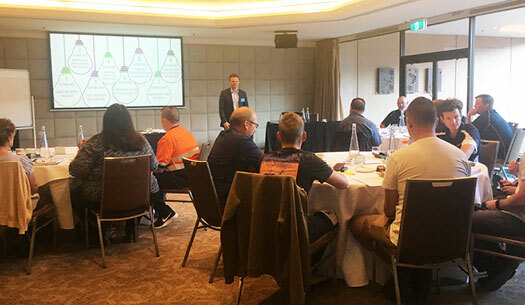 Brett Hutchinson conducting the first Leadership By Design program at the Intercontinental in Adelaide this week. A diverse range of industries are participating in this exciting program. Check out our website for the next scheduled leadership program in your area. Creating a positive workplace culture and dealing with the tough ‘people’ situations at work are two of the toughest assignments we have as leaders. For many years now Proteus has assisted thousands of leaders to do just that. 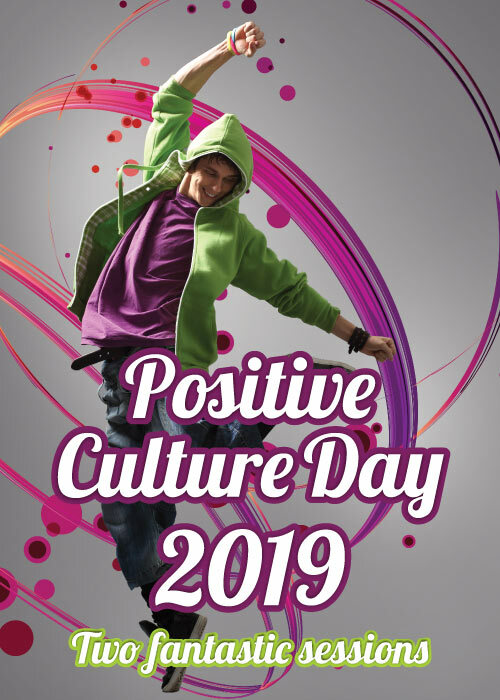 Through the very popular ‘Creating A Positive Culture’ and ‘Tough Love Leadership’ sessions, many leaders have found answers to the issues that they have to deal with every day.